The Red Angel is Burnham's mother. Now that the cat's out of the bag, the show can move forward and shift its focus to stopping Control. It's priority one for Starfleet who have tried destroying the collective hive of infinite knowledge that they salvaged earlier in the season from the Sphere that the AI wants to use, but the data is adapting, determined to survive itself, making it almost impossible to kill. So the crew of Discovery come up with a way that they've evidently discovered by watching too much of the The Flash, and have decided to bounce it around in time constantly so that Control will never be able to find it. It's an excitingly tense hour with the clock running down, as Control gets more and more desperate to put its plan into action forcing it to make more drastic moves. Burnham's reunion with her mother didn't quite go the way anybody expected, least of all her. To her mother, Burnham has died countless of times and she claims that seeing her daughter again no longer matters to her. Like Pike, they might as well be ghosts, and will become them unless Control can be stopped. But Control will not go down so easily, and just as Pike and the crew are working together to try and stop it, Control is devising tactics of its own, using Leland as a way into Section 31 to manipulate Georgiou and Tyler against the crew of Discovery. Michael's mother is dangerous, Leland claims. She might not be who she says she is and it's imperative that she is brought to Section 31. Tyler is the first to notice something's wrong with Leland, and is able to warn the crew about the danger headed their way after he is ruthlessly dispatched in a fight and left for dead. At this point, Control looks near enough unstoppable and we got to see Georgiou unleash her combat skills against Control despite almost being manipulated into a confrontation with Dr. Burnham. Control tried to play to what Georgiou wanted to hear - she's no longer the most powerful person alive in the universe now that Dr. Burnham knows everything including what happened to her in the future. Take out Dr. Burnham and you become number one again. It almost worked, but any episode where Michelle Yeoh gets more to do is usually a good episode, and it was fantastic seeing her trade blows with the Terminator-esque figure of Leland, unstoppable even to the most combat-ready member of the federation. We learnt more about the past the Burnhams and the attack of their labatory by Klingons. Naturally, Burnham is eager to find out if her mother survived, did her father too? Dr. Burnham won't reveal the truth, but it doesn't look like good news given her reaction to being asked. Dr. Burnham's gambit, to use the Red Angel suit as a means of time travelling back to warn the Burnhams before the attack even happened could have worked, but she instead found herself 950 years in the future and tied to the future, unable to return for an extended period of time, and even 840 attempts later, the future is still unchangeable despite her best efforts. The odds have never looked bleaker. And now Control-Leland has escaped with Section 31 and half the data provided by the Sphere and could be anywhere. Discovery were able to have a small victory - they were able to prevent Control from getting all of the data, but it's not good news. Dr. Burnham is forced back into the future and Discovery is back at square one, all over again. The stakes have been increased and Star Trek: Discovery always does a good job at raising them. Once again the performances in this episode were top notch and Sonequa Martin-Green is really bringing her A-Game to the table. After Pike leaves, we don't even need a new Captain, I'd be quite happy for Burnham or Saru to take the role on a permanent basis, Both have more than earned it especially given everything that their crew have been through so far. Not bringing in a new captain next season would hopefully mean that more of the supporting cast get fleshed out, which is still one of the show's main problems to date. And it would mean that the Captain wouldn't have to be faced with constant comparisons to the brilliant Lorca and Pike, who really have been among the best assets of the series to date. The pacing of this episode was suitably on edge and things were no less engaging. This was one of the better episodes where we've seen the show utilise Section 31, with the internal politics never really being developed properly or interestingly enough but it was fun to see Control playing to Georgiou and Tyler's weaknesses and exploiting them in its favour. It's always good to see the series finding the right balance between spending time with the bad guys and the good guys, especially when the villain is as proactive as it is here. 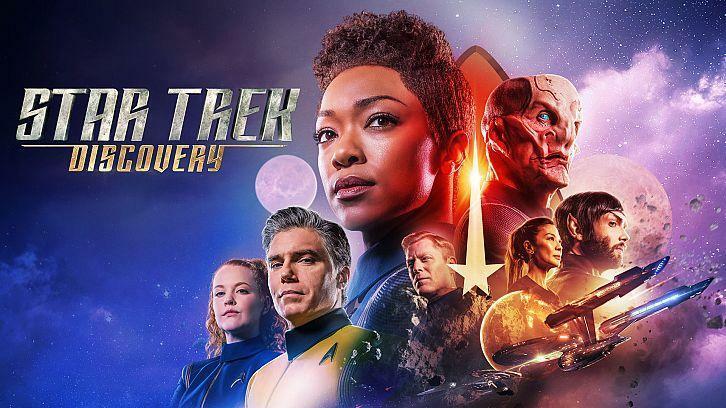 There is a danger of making the protagonists too reactive, but it's something that Discovery has been able to avoid so far and is doing a good job in turning Control into a more than credible threat. With 3 episodes left, you'd expect things to only get more exciting later this week. But that said, the show has been largely hit and miss with its handling of the Klingons and next week looks to bring them back.